King George's War Summary and Definition: The King George's War (1744 - 1748) is the name given to the third of the series of conflicts in the French and Indian Wars. The War was named after King George III who was the English monarch at the time of the conflict that was between the French and the British who were aided by their respective Indian allies. King George's War was the North American extension of the War of the Austrian Succession in Europe. 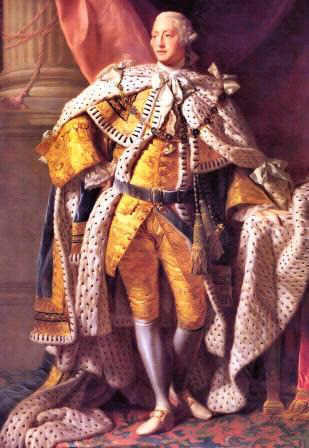 King George's War involved disputes over the boundaries of Nova Scotia and the borders of northern New England and control of the Ohio Valley. The combatants of the King George's War were the French & and their Indian allies and the British and their Indian allies. 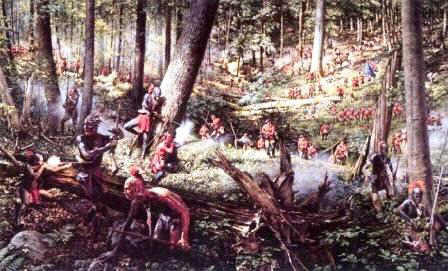 King George's War was characterized by the bloody border raids by both sides, aided by their Native Indian allies. King George's War ended with the Treaty of Aix-la-Chapelle in 1748 that restored conquered territory but failed to resolve colonial issues that had arisen during the French and Indian Wars. For additional Facts and info refer to the French in America. Many British merchants found the terms of the treaty unacceptable and resorted to smuggling. This led to the 1738 War of Jenkin's Ear in which one of the smugglers, by the name of Robert Jenkins, had his ship seized by Spanish revenue agents and his ear was cut off during the incident. The Jenkin's Ear confrontation was used as a pretext for war and American colonists attacked Spanish possessions in the Caribbean and mounted an expedition against Spanish Florida. Combatants in King George's War: The French and their Indian allies. The Wabanaki Confederacy was between five Algonquian speaking people consisting of the Abenaki, Mícmac, Penobscot, Passamaquoddy and Maliseet tribes. Combatants in King George's War: The British and their Indian allies. The Iroquois Confederacy was between an alliance of tribes headed by the Onondaga, Cayuga, Mohawk, Seneca and the Oneida tribe. This short History Timeline of the King George's War provides fast facts and information about the history, years & dates, key events and famous people who fought in the King George's War. 1739 Following the Jenkin's Ear incident war broke out in 1739 between Spain and Britain, but was confined to the Caribbean Sea and the British Province of Georgia. 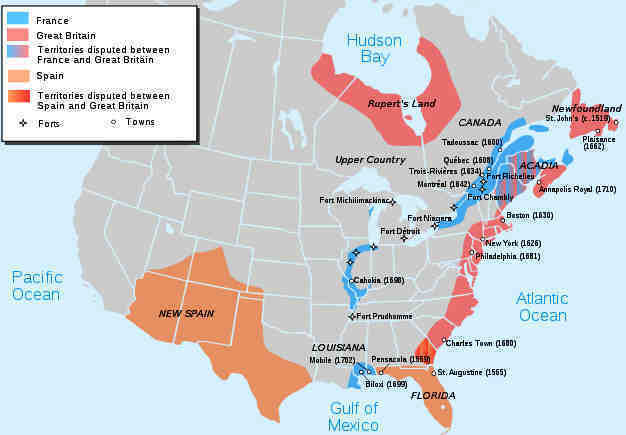 1744 King George's War (part of the French and Indian Wars) between France and the Wabanaki Confederacy and Great Britain and their allies of the Iroquois Confederacy. 1748 August1748: The French and their Indian allies attacked Schenectady, New York. King George's conflict. Discover the key years, famous people and events of the King George's War together with the causes and effects of the war, conflict and battle. Pictures have been include wherever possible which show the battlefield, clothing and weapons of the Native Indian tribes and their leaders who fought in the King George's War. The illustrated text provides a really useful educational resource for kids and children of all ages. We have included pictures and videos to accompany the main topic of this section - King George's War. The videos enable fast access to the images, paintings and pictures together with the information and the many facts featured on this subject of the King George's conflict.